While home cooked meals may be good for people, they may not provide the essential supplements and nutrients which are necessary for your pet’s health. At Pets World we stock a range of nutritious and tasty food from Pedigree for your pets. It is better to give your dog pet food, which is balanced, safe, and wholesome. 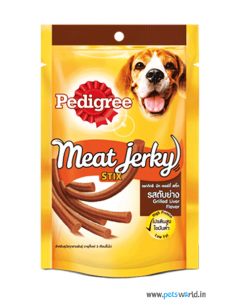 They also offer better palatability and digestibility. 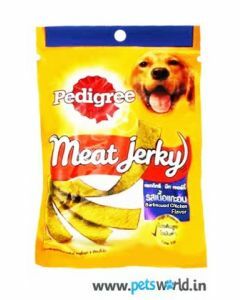 Also, it has been proven to be more cost effective in the long run. 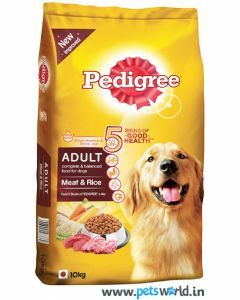 Pedigree, a market leader in dog food since inception, is a subsidiary unit of Mars Inc. which was founded by Franc C. Mars and is there in the market since 1911. 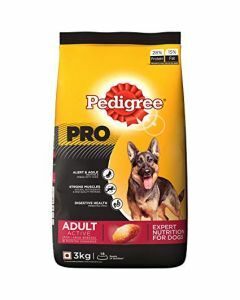 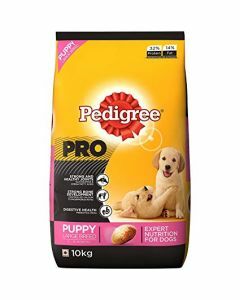 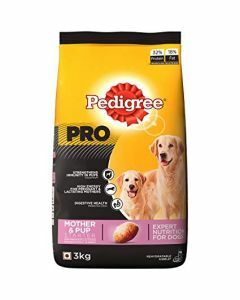 The FMCG giant owns a variety of super brands, but has excelled most in the dog food category, riding on its hugely popular brand Pedigree dog foods. 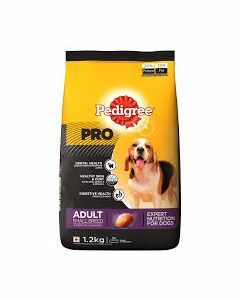 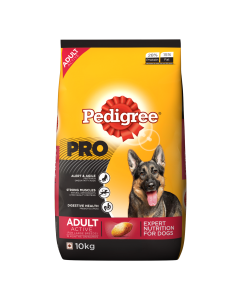 We at Pets World provide different variety of Pedigree petfoods for dogs, depending on their specific nutrient requirements. 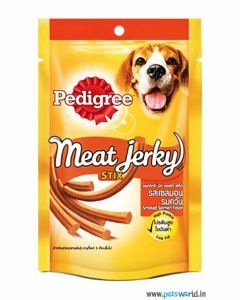 Keeping in mind the stage of growth the dog is in, and what his lifestyle is, a different kind of food is available. Owners often tend to overfeed or underfeed their pets without paying attention to their requirement when they serve them homemade food. 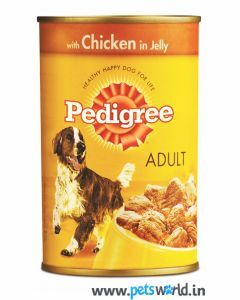 With pedigree, it’s easier to keep a track on the amount of food needed by the dog according to his growth. 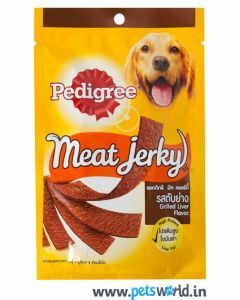 Another plus point of feeding manufactured pet food to your dog is that often dogs are allergic to the ingredients of the food that human consume, but our featured brands make sure that the manufactured products never contain any ingredient to which dogs might be allergic. 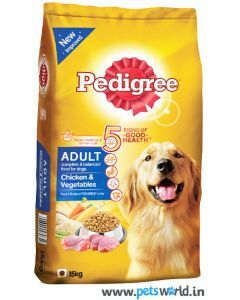 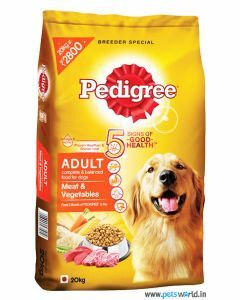 These pedigree kibbles are also available in different flavors like milk and vegetables, rice and meat, chicken and rice, chicken and milk, chicken and vegetable, etc., which not only offer great taste but also offer good health to your pet. 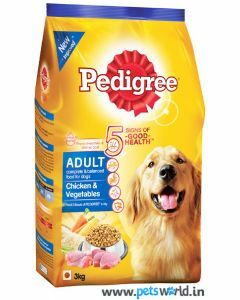 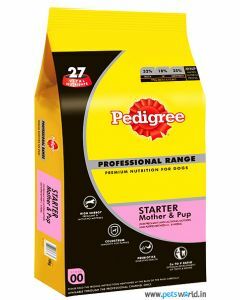 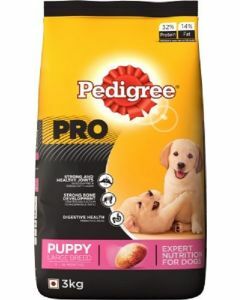 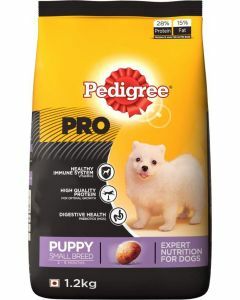 Pedigree offers dry and wet food, right from weaning puppies to daily nutrition for adult dogs. 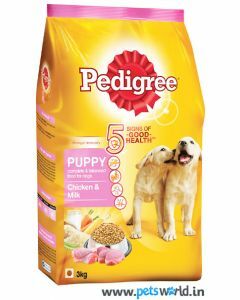 Being categorized on the basis of life stage (puppy, adult, senior), size (small, medium, large) and specific needs (like oral care, skin and coat, weight) the pedigree kibble the dog food comes in various flavors, like milk and vegetables, meat and rice, chicken and vegetable, chicken and milk, offering great taste along with optimum health. 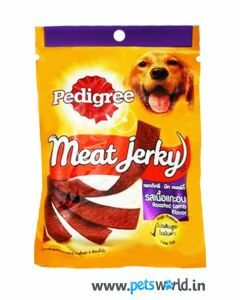 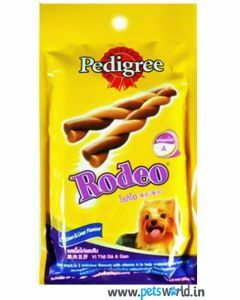 In addition to the complete dietary formulae for puppies and dogs, Pedigree also offers dental health in form of Pedigree Dentastix and training treats like Meat jerkys and Rodeo Stix. Apart from taking care of the overall health of your dog, Pedigree aims to meet the four universal needs of the dog relating to – Skin and Coat, Oral Health, Digestion, Immunity. 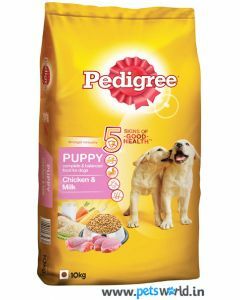 Pedigree’s balanced diets have been the outcome of scientific research undertaken at Waltham centre for pet nutrition.